What is Backup Withholding and What Are The Rules? Backup withholding is withholding that is taken from certain forms of payments and income by businesses and banks. 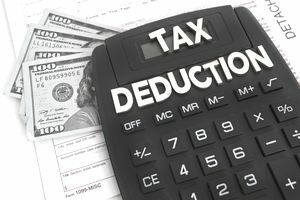 If you are paying individuals and reporting those payments on Form 1099, you may be required to withhold taxes from some of these individuals, as backup withholding. Use Form W-9 to request the identification number of the individual. If you do not receive the information, start backup withholding immediately and continue until you receive it. The backup withholding rate is currently 24% of the total amount paid to the worker, effective for the 2018 tax year and beyond. First, you must file Form 945 with the IRS. Form 945 is an annual report form, used for reporting all backup withholding for all payees for the year. You can e-file this form or send it by mail. If you send by mail, where you send the form depends on whether you are making a payment. For individual payees, you must provide them with information on the amounts withheld from each check. Then at the end of the year, you must report the total backup withholding, along with the total amount paid for the year, on Form 1099-MISC. Generally, the deposit rules for Form 945 are the same as those for Form 941 (payroll taxes). You are a semiweekly or monthly depositor, depending on the amount deposited. You may use the IRS e-file (EFTPS) system or make deposits using the deposit coupon. There are some special rules that relate to depositing backup withholding; read the Instructions for Form 945 for more information.